Even after more than four decades of passionate movie watching, it’s gratifying to discover that I can still be surprised by yet another discovery; that the film history I have absorbed gives just a partial glimpse of a much larger and more complex story. The advent of DVD and Blu-ray, through their access to an astounding range of films going back to the very beginning, has done quite a bit to undermine the received wisdom of the official story (or rather stories) of cinema. What I have now seen for myself has changed the way I thought about silent film, which was initially fixed by television showings of a limited number of famous films (often at the wrong frame rate, thereby reinforcing a view of silent film as “primitive”). While there are undeniable landmarks and important innovators during that period, it is now apparent that a lot of the stylistic and technical developments attributed to, say, Edwin S. Porter and D.W. Griffith were actually evolving in many places simultaneously. The same holds true for the crude myth of the coming of sound. As wonderfully entertaining as Singin’ In the Rain is, its depiction of that transition is at best partial. Certainly, there were many instances of the new technology being clumsily applied by often unimaginative filmmakers. 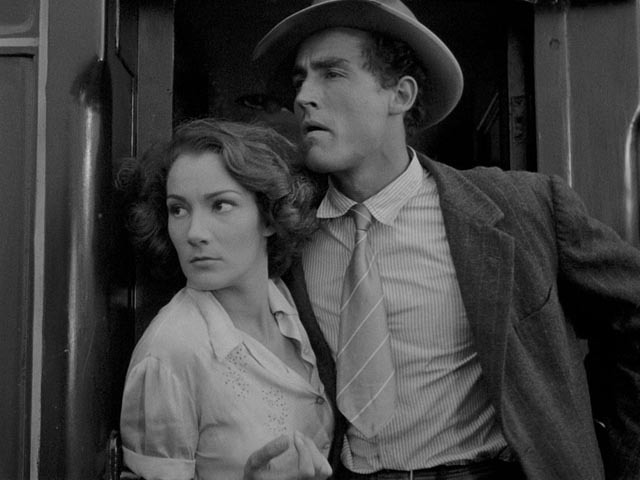 But it’s also clear that filmmakers who were imaginative and innovative in the later years of the silent era quickly found ways to use the new medium which didn’t undermine the sophisticated possibilities of silent film, but rather added the new technology in ways which enhanced their visual storytelling … just look at the early sound films of Fritz Lang, G.W. Pabst, Alfred Hitchcock, Rouben Mamoulian and Rene Clair, to name just a few. 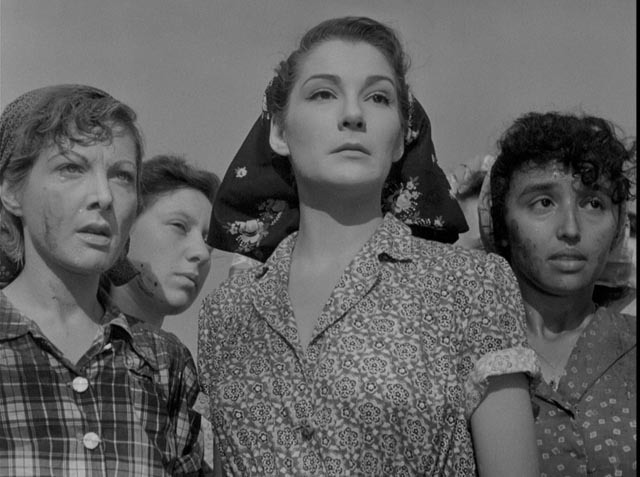 I bring this up because I have a reasonably good understanding of Italian neo-realism and its origins in the chaos of the post-war years where resources were limited (hence shooting in real locations with largely non-professional casts) and the turmoil of fascism, war and defeat brought a new focus on the real lives of people who had lived through enormous social upheavals. The early practitioners of neo-realism were generally leftist intellectuals whose focus was the working class and the effects of a harsh economy on workers’ lives. The key emblem of neo-realism, and its first big international hit, was Vittorio De Sica’s Bicycle Thieves (1948). While many of these films were sophisticated in terms of their analysis of social conditions, their intention to present an unadorned view of real life resulted in a kind of raw documentary style. It was the world being depicted which mattered, not the display of a filmmaker’s technical prowess. This simplicity nonetheless afforded opportunities for sophisticated art – De Sica’s masterpiece Umberto D. for instance. But with access to more films from this period, the picture seems a little less clear-cut. De Sica emerged from the more conservative environment of the Italian studios during the later years of Mussolini’s reign, a cinema rooted largely in melodrama and comedy. He made a radical shift in 1944 with The Children Are Watching Us, a film unquestionably rooted in melodrama – the bitter dissolution of a marriage as seen by a four-year-old boy – but given a sharp and emotionally wrenching realism through De Sica’s keen observation of the characters and a remarkable performance by the child actor Luciano De Ambrosis. This emphasis on the damage done by adults to children was deepened and extended two years later with Shoeshine, one of the first great neo-realist films. By the late ’40s and early ’50s, the chief practitioners of neo-realism were already moving on to other things, although they brought many of the stylistic lessons of the form to their later works. All of which is an inordinately long preamble to today’s discovery, Bitter Rice (1949) by Giuseppe De Santis, a filmmaker whose work I’m unfamiliar with (though I have a vague memory of seeing Attack and Retreat on television, possibly in the late ’60s or early ’70s). Made just a year after Bicycle Thieves, Bitter Rice uses many of neo-realism’s elements, but expands and transforms them in interesting ways. The film was inspired by something De Santis saw as he passed through Milan a year or so earlier: large numbers of women on their way to temporary employment in the rice fields of northern Italy. Their energy and the sense of community he saw offered promising raw material. But De Santis’ approach to that material was not “purely” neo-realist. As developed by the director and no less than five other writers, that image of working women embarking on a short season of back-breaking labour became the background for a narrative which was equal parts melodrama and transplanted film noir. Francesca (American actress Doris Dowling) is involved with petty thief Walter (Vittorio Gassman); they are on the run, having stolen a necklace from a hotel, and find themselves at the railway station among the women rice workers as the police close in. Walter runs, leaving the jewels with Francesca and telling her to mingle with the workers. As she heads for the rice fields, Francesca connects with the free-spirited Silvana (Silvana Mangano) who helps her to get hired on. The women live in barracks recently vacated by soldiers (meeting Sergeant Marco Galli [Raf Vallone] as they move in). The heart of the film becomes the relationship of these two women, framed in a romantic quadrangle with Walter and Marco. But these elements of melodrama – Marco is attracted to Silvana, while Francesca is drawn to the sergeant; when Walter eventually shows up looking for the jewels, he too is attracted to Silvana, who in turn is attracted to him. Despite the two women’s rivalry, Francesca tries to save Silvana from making the same mistake she herself made by getting involved with him. What makes Bitter Rice so interesting is the way all these elements are blended by De Santis. In particular, his focus on the experience of the women, relegating the men to secondary roles, makes the film stand out from much of neo-realism with the genre’s more typical attention to the political and economic struggles of men. This film’s subject is the choices available to women in postwar Italy, the constraints on their sexuality and independence. The options open to them are essentially limited to a choice between the two men – the decent Marco and the selfish exploiter Walter – and what might have been a strong alliance between Francesca and Silvana inevitably becomes a deadly rivalry. This melodramatic construct is supported and given resonance by the beautifully observed background, the lives and work of the women treated with a documentary eye, which makes clear every detail of the social and economic situation which shapes the personal story. Stylistically, however, De Santis applies techniques which would seem to violate the tenets of neo-realism. The film is shot on an almost epic scale rather than with a spare naturalism. It opens with an impressive extended shot which begins on a close-up of a man’s face as he looks directly into the lens and describes the circumstances of the rice workers; as the camera pulls back, we see that he’s actually a radio announcer broadcasting live from the station, and abruptly the camera rises up in a crane shot to reveal the rail lines and hundreds of women flocking towards the waiting trains; the shot continues in an almost 360-degree pan creating a sense of enormous scale, before finally drawing close to Francesca as she waits for Walter. There are several other elaborate crane shots – one revealing the rice fields as we are introduced to the labour of these women; another, later, as the women escape the confines of the barracks for assignations with local men on the far side of the high wall – a visual device which serves to keep the viewer aware of the larger context within which the characters’ conflicts are played out. The scale and assurance of the filmmaking is remarkable in what was only De Santis’ second feature, but what really makes the film resonate is the cast. Although Doris Dowling was not treated very kindly by critics, she actually gives a sensitive and nuanced performance as Francesca. It was her misfortune to be cast opposite Silvana Mangano in her star-making role as Silvana. 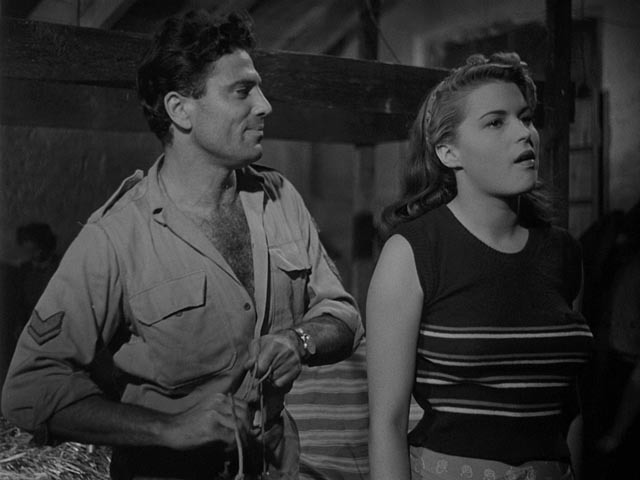 Mangano was only 19 at the time, but her presence is so powerful that De Santis expanded her role as the shooting went on, shifting the film’s centre of gravity away from Francesca. Mangano comes on like a force of nature, so full of life that the constraints which push her to see Walter as the way to a better life lead almost inevitably to destruction. 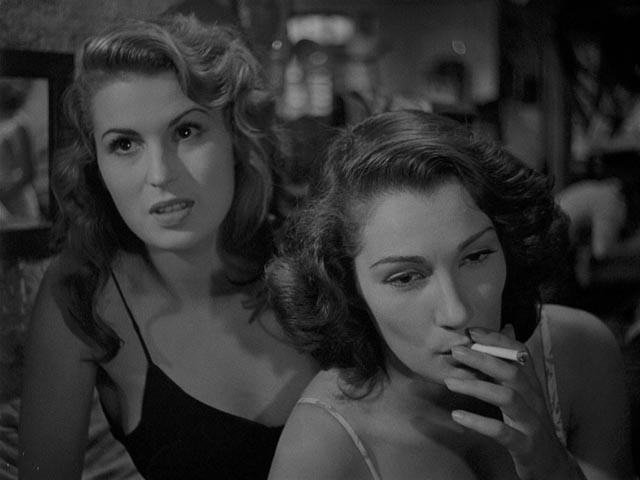 Although in noir terms, Silvana inhabits the position of femme fatale, one of the film’s real strengths lies in the equal sympathy De Santis shows towards both women – their destructive rivalry is a result of the limitations imposed on women in this society, not a matter of personal moral strengths or failings. With Bitter Rice, Giuseppe De Santis expands the possibilities of neo-realism by incorporating other forms which on the surface would appear to be incompatible, but which in his hands create a blend with real dramatic power. Criterion’s hi-def transfer from the original 35mm negative displays a full range of grays and a lot of detail in both the crowded interiors and expansive exteriors. The Italian soundtrack is in clear mono, but with limited depth which probably reflects the limitations of the original production. There is a brief (6:38) interview with co-writer Carlo Lizzani from 2002 in which he speaks about De Santis and the production, but the really substantial extra is a documentary by Lizzani from 2007 (52:33) which provides a portrait of De Santis and an illuminating survey of his career as writer and director. Given my lack of prior knowledge about the filmmaker, this is really tantalizing and I can only hope that someone will release more of his work on disk (how about an Eclipse set, Criterion?). Perhaps the most illuminating comment made in the documentary is that De Santis’ work represents Marx crossed with Hollywood, an excellent description of what is most distinctive about Bitter Rice. There is also a trailer (3:23) and the booklet essay is by critic Pasquale Iannone. This entry was posted in Commentary, Review and tagged Actors, Blu-Ray, Classics, Criterion, Directors, Italian Film, Neo-realism. Bookmark the permalink.